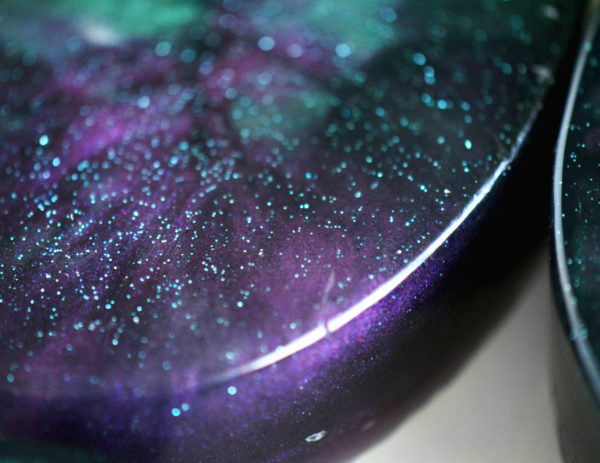 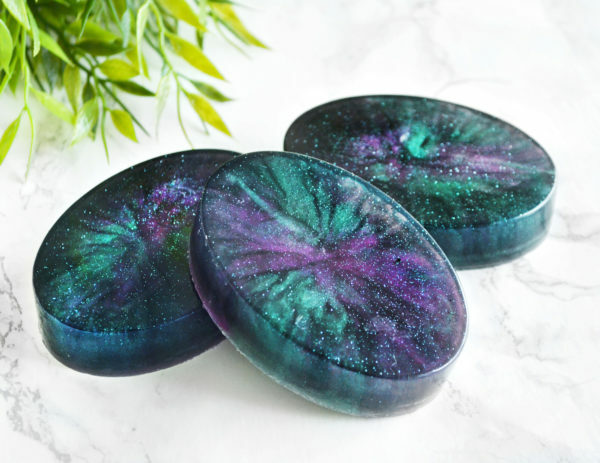 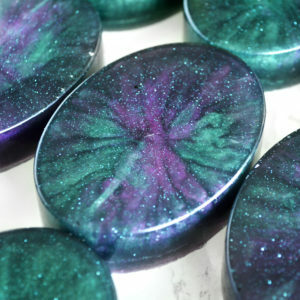 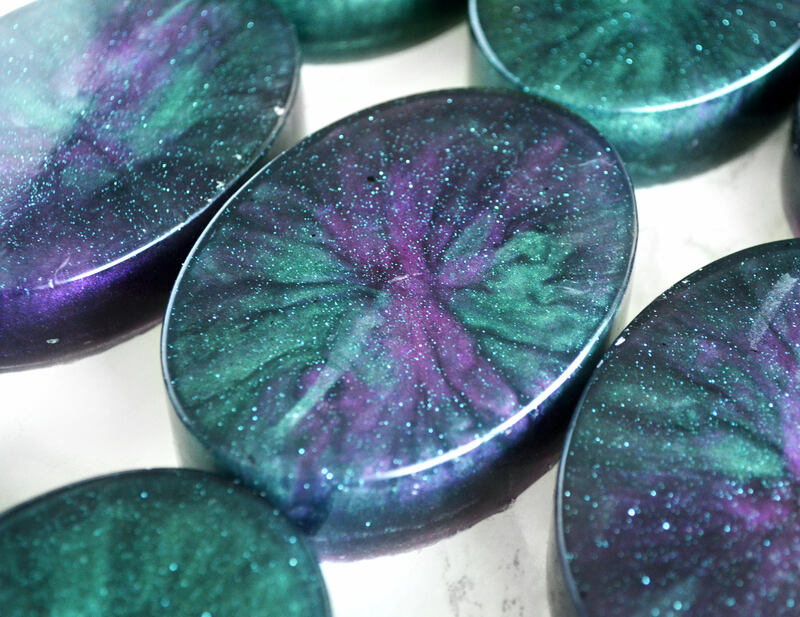 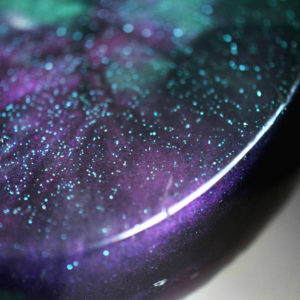 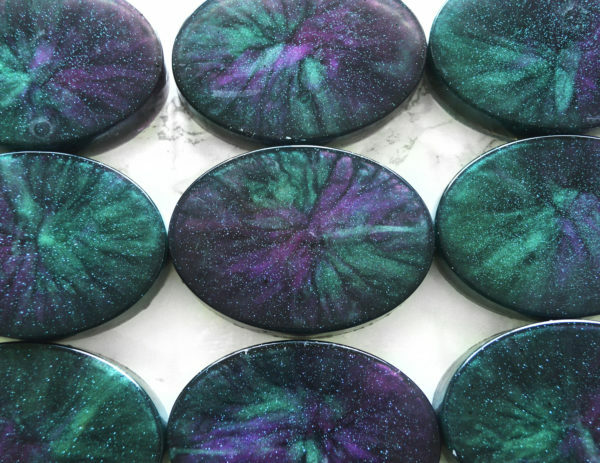 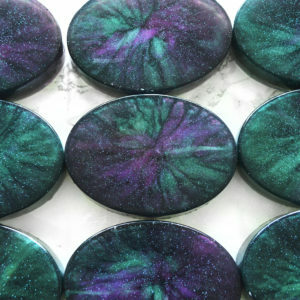 These galaxy glitter soaps are out of this world! 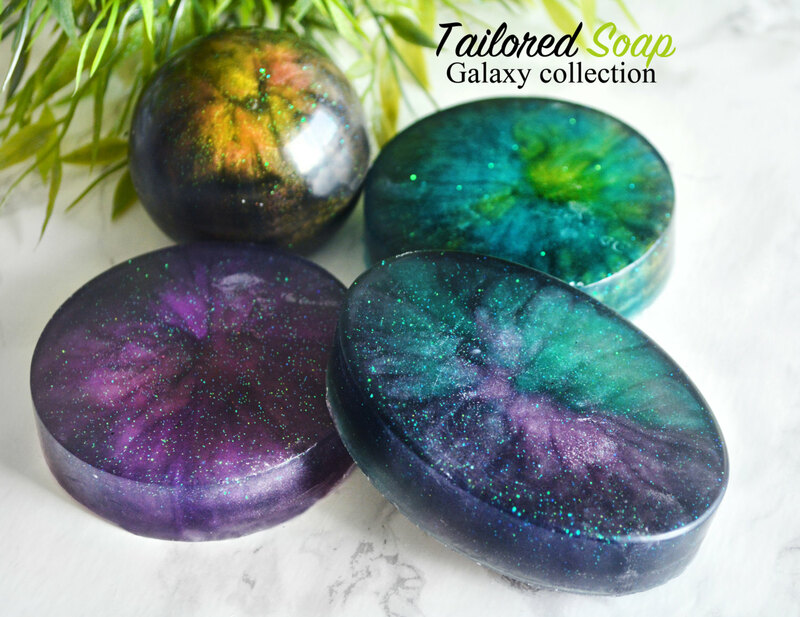 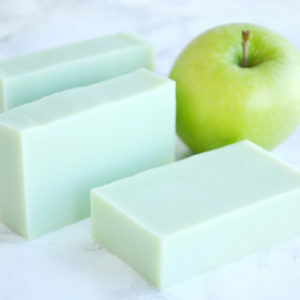 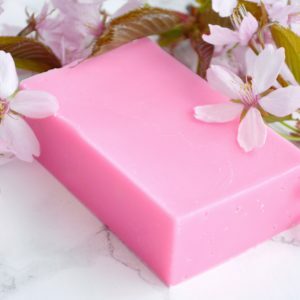 Tailored Soap carries the original glycerin galaxy soaps, and we’re confident these homemade soaps will be a conversation starter. 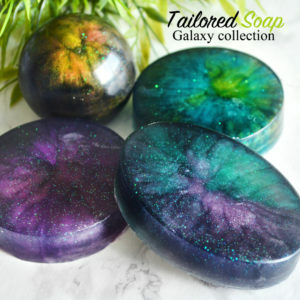 This listing is for 1 Galaxy™ Soap. 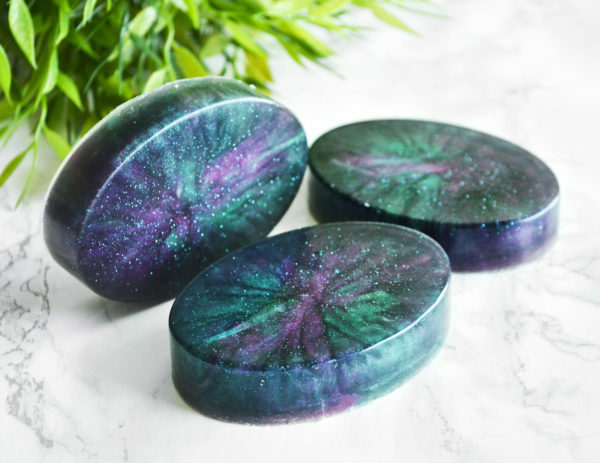 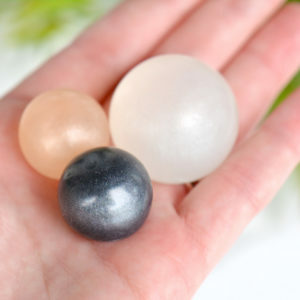 These glycerin soaps are made using high quality micas, cosmetic, biodegradable glitter and a lovely fragrance oil. 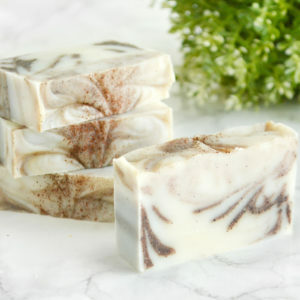 It is scented with Spellbound Woods, which is a warm scent that’s the perfect combination of woodsy and vanilla! 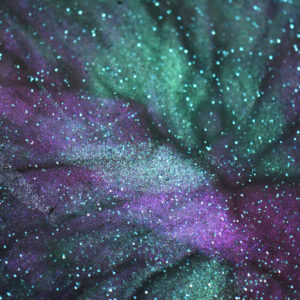 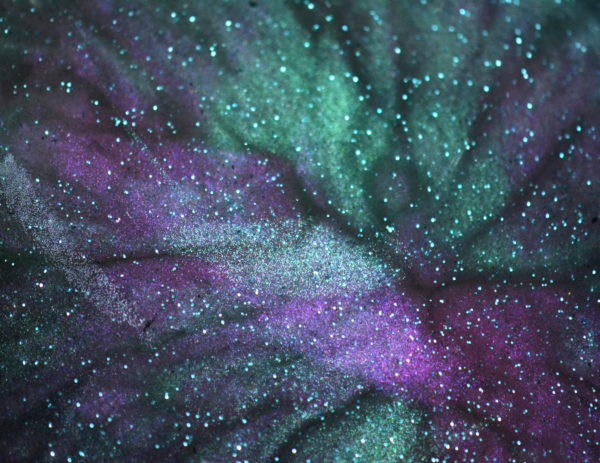 The biodegradable glitter looks like tiny stars, and the abstract patterns made with pink and green give that galaxy, outer space look. 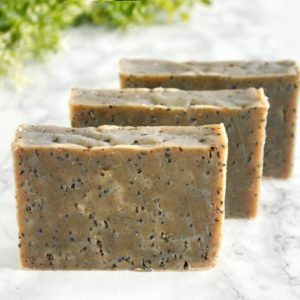 As this is a handcrafted item, no soaps will look exactly the same. 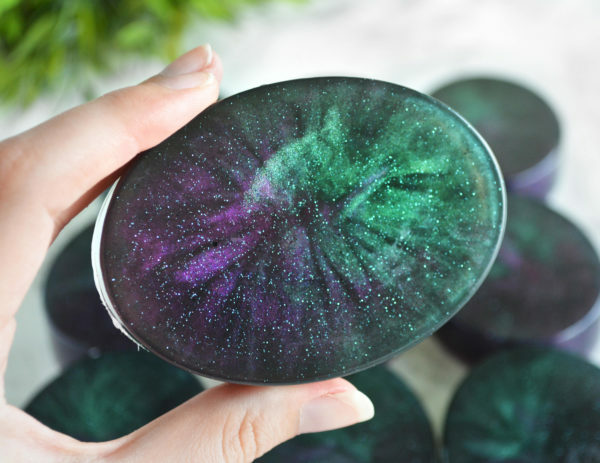 Please keep in mind that this is a dark soap that requires light to go through it to fully show its colors. Sometimes the colorful patterns are slightly hidden beneath the surface and won’t appear as bright, but will shine as the soap is being used! 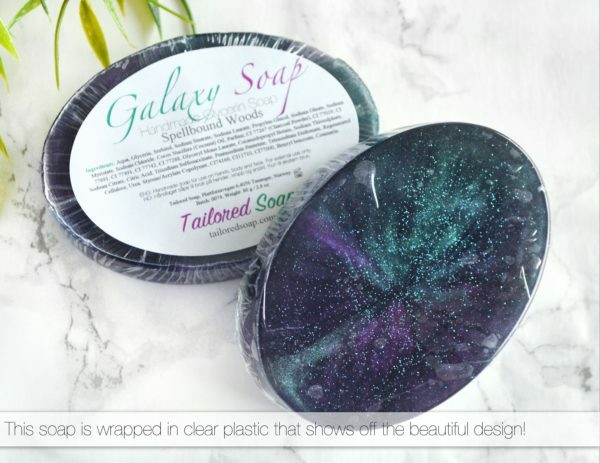 The Galaxy Soap is scented with Smitten. 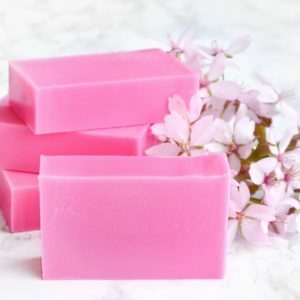 This scent has fruity notes of Italian bergamot, white lady peach and strawberry mixed with middle notes of apple blossom, African tamarind and a touch of Damask rose. 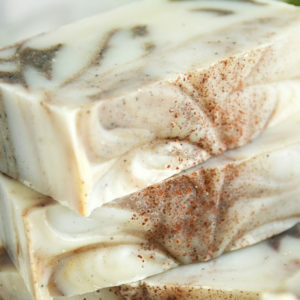 The base is tonic bean, coconut milk and white musk. 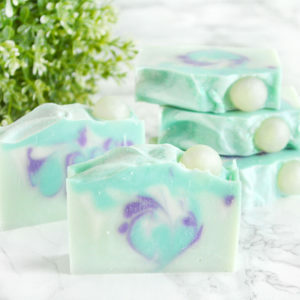 This is a light, flirty and sweet scent. 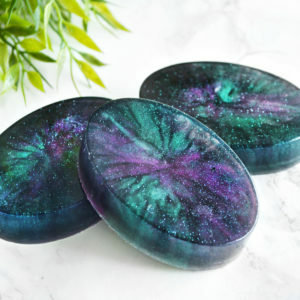 The oval shape of these handmade soaps makes them fit perfectly into the hands. 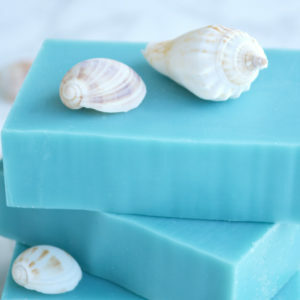 Glycerin soaps are recommended for hand wash (and for the body if you love that squeeky clean feeling). 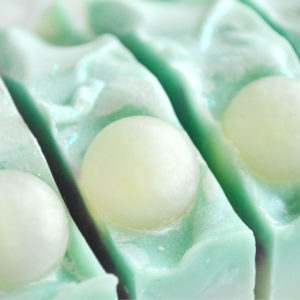 We recommend putting your soap in a draining soap dish to extend the lifetime of it. This glitter won't stick to your skin. 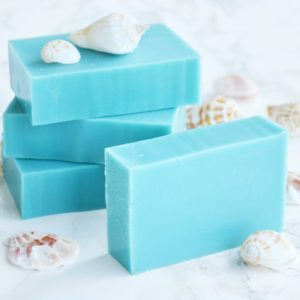 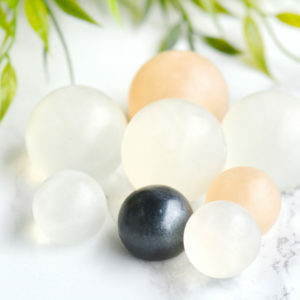 Aqua, Glycerin, Sorbitol, Sodium Stearate, Sodium Laurate, Propylen Glucol, Sodium Oleate, Sodium Myristate, Sodium Chloride, Cocos Nucifera (Coconut Oil), Parfum, Carbo activatus, Mica, Titanium Dioxide, Iron Oxide, Manganese Violet, Chromium Oxide Green,Glyceryl Mono Laurate, Cocamidopropyl Betain, Sodium Thiosulphate, Sodium Citrate, Citric Acid, Trisodium Sulfosuccinate, Pentasodium Pentetate, Tetrasodium Etidronate, Regenerated Cellulose, Urea, Styrene/Acrylate Copolymer, CI74160, CI11710, CI77000, Benzyl benzoate, Coumarin. 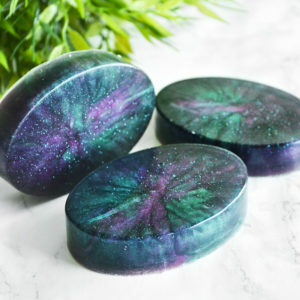 Lovely purchase! 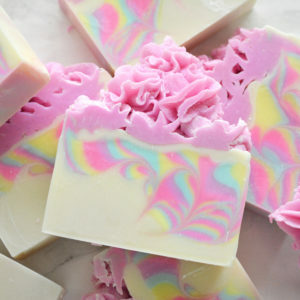 Smells delightful and looks even better! 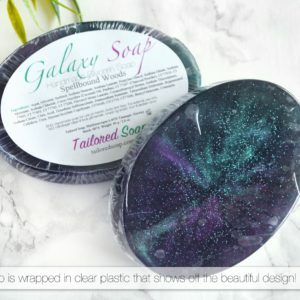 Beautiful and amazingly fast shipping! 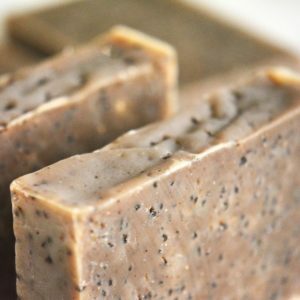 Smells great and is lovely to use! 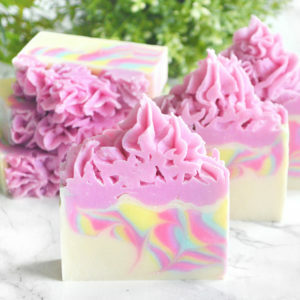 Not just pretty, it really is quality soap! 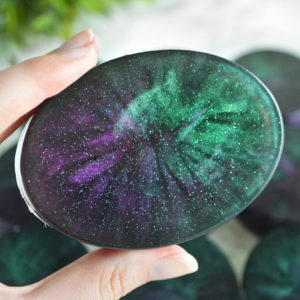 Very unique, makes an excellent gift. 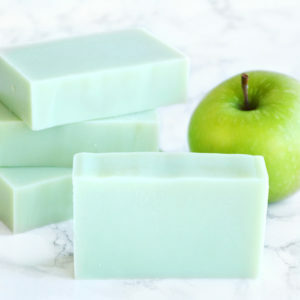 Great quality and smells divine!